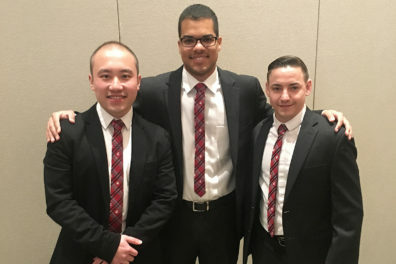 Pharmacy students demonstrated their acumen, capturing the championship in a National Community Pharmacists Association business plan competition. Children are invited to trick‑or‑treat, play games and take pictures with Butch. 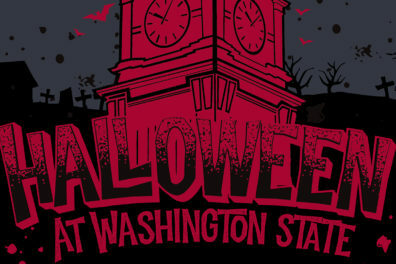 The Pullman campus and surrounding community have plenty to offer in addition the customary world-class tailgating. WSU sororities take on the largest philanthropy project in the organization’s history. Preparations continue across the Pullman campus for Saturday’s first-ever ESPN College GameDay broadcast from WSU. Prospective graduate students in the field of education can have their questions answered at this annual Graduate Preview Event. Early textbook ordering enables students to know the cost of materials for courses and get maximum buy-back price for their books. Broadcast set for 6-9 a.m. on ESPN. 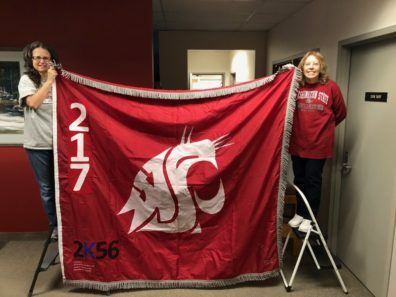 Students hope their satellite, CougSat‑1, will broadcast the phrase ‘Go Cougs!’ from Earth’s orbit and will signal club members when it is overhead. Fund supports programs that help educate, advocate and destigmatize mental illness among student athletes. The six-week project will disrupt a popular travel route between Pullman and Puget Sound. The nation’s highest military recognition for valor was bestowed Monday on WSU alumnus and former U.S. Army medic Ronald Shurer. Inaugural class of ROAR students “making a big leap” to living on their own for the first time. Tropical Dream, a creamy mix of sweet coconut and tangy pineapple first produced in the 1960s, is back for Homecoming Weekend. Most WSU employees have just a couple weeks left to finish qualifying for the 2019 SmartHealth Wellness Incentive. Harlan Cohen, a nationally syndicated advice columnist, will discuss “The Naked Truth About Life in College” Sept. 13 WSU CUE 203. Developed by two student groups and the Division of Student Affairs, the Web portal is designed to make getting involved on campus much easier.